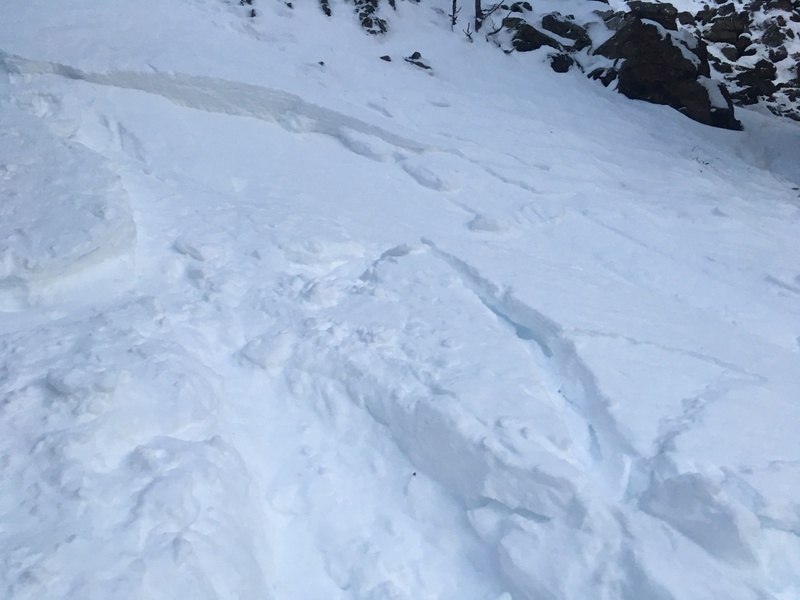 From e-mail: "Was descending off of Zach Attack tonight and set off a small slab in the gully on the decent. This was about 100 meters below the start of pitch 1. Constant whipping winds and lots of new deposited snow likely caused the slab to form. Climber caused. Didn’t carry me as it was small. Would be wary of the mummy cooler gullies abover scepter as well."